Learn how to attract bees, hummingbirds, and butterflies to your landscaping with nectar-rich plants. I love watching bees buzzing around from flower to flower and trying to figure out how butterflies can fly with those delicate tissue-thin wings. Nature at its finest for sure. Its so easy to attract pollinating insects, such as bees, hummingbirds, and butterflies to come to our gardens to help our plants reproduce. Here are a few steps to follow. This is so easy to do, but the most important way to attract pollinating insects to your garden is by using nectar-rich flowers. I go to my local garden center and look for Monrovia flowering plants which are always colorful and healthy for my garden, landscaping, and containers. Having strong healthy plants to start out with will help them adjust to its new surroundings. What plants should you use? Check to see what butterflies are local to your area and then see what plants they prefer. Butterflies are attracted by sweet, pungent smelling flowers that are orange, yellow, pink, purple and red. 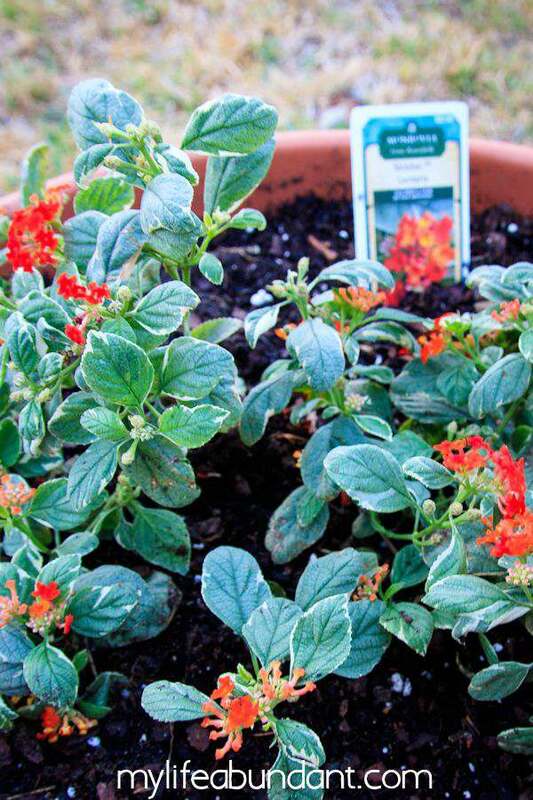 The deep-throated flowers are great for hummingbirds, such as petunias, sage, and verbena. My favs to plant to attract butterflies are pentas, porterweed, salvia, lantana and purple coneflowers. 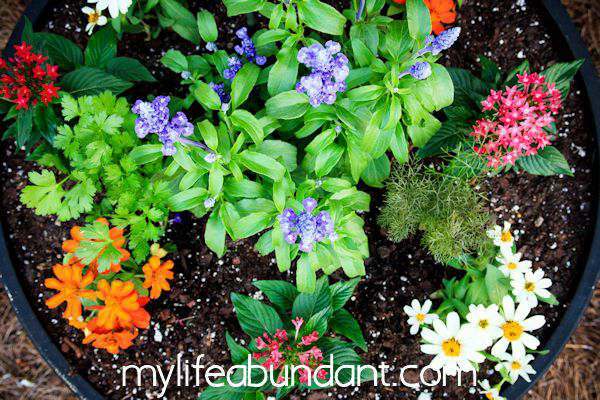 Try planting plants which flower different times of the season. This will ensure your nectar-loving insects will have food at all times. You can plant a few plants in several different areas in your landscaping. I have them in large containers positioned several places around my home since I don’t have a large yard. For those of you who live in apartments, pots are a perfect solution to enjoy butterflies in your area. I have an area which doesn’t receive much water from the sprinkler system, so I planted lantana, plumbago, and milkweed there. The pop of color there is just beautiful and a constant swarm of butterflies and bees. When butterflies lay their eggs, they look for host plants their larvae will enjoy eating once they hatch. Depending on the species, you will need to check to see what your area host plants are. Monarchs love milkweed which is really easy to grow. I usually put it in the back of my other flowers since there is usually nothing left after the caterpillars make a meal out it. Other great plant choices are certain herbs, such as fennel, parsley, and dill. 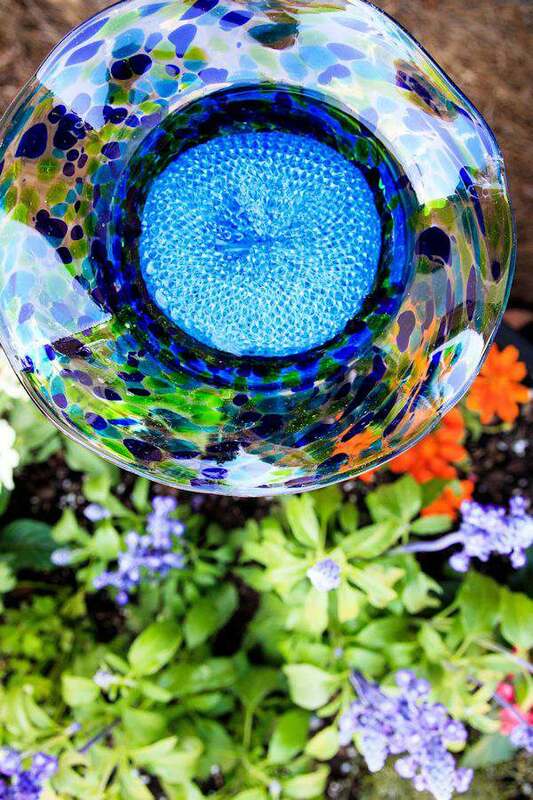 Glass butterfly feeder with a plastic pot scrubber in sugar water. I provide a butterfly feeder which holds sugar water for them to drink. The plastic pot scrubber (picture above) gives them something to perch on while drinking or you can also use a small sponge or small stones. I’ve also put half an orange or old banana peel in there. They also love muddy puddles. 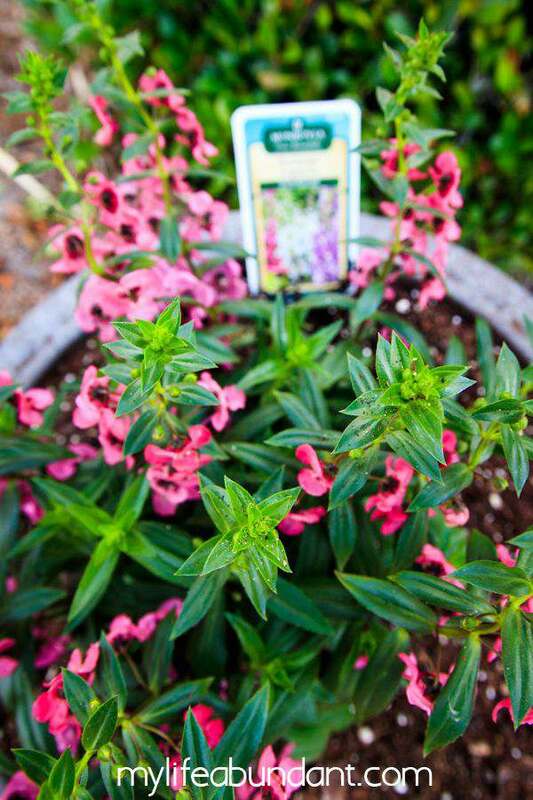 A perennial version of Angelonia, also known as Summer Snapdragon and loves heat. Blooms spring through fall. Butterflies need to warm up their wings on days which are cool and they love the sun. You will often see them on a flower with their wings stretched out soaking up the warmth. Bushes and trees make great shelter for them to use to perch on. A Butterfly Bush is a perfect example. Depending on the variety, it’s nectar-rich and a great place to rest in. Bushes also provide shelter for the cocoons and larva. NEVER use pesticides around your nectar-rich flowers and plants. One of the reasons why our bee population has gone down in the past years. I use organic flower food granules around my plants and can be found virtually anywhere now. The more flower heads, the more butterflies, bees, and hummingbirds will stop by. 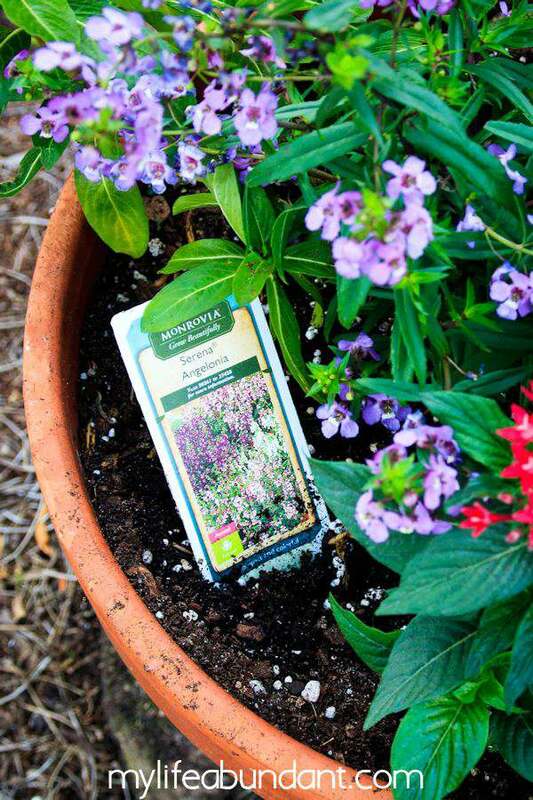 A compact version of Angelonia and great for hot areas. The more nectar-rich flowers and plants that are around, the more butterflies, hummingbirds, and bees will come by and enjoy. You could offer them some starter plants or bring by a plant for the new neighbor in town. The perfect time to offer your expertise on what species are in your area. Also, encourage your neighbors to not use pesticides on their flowers. 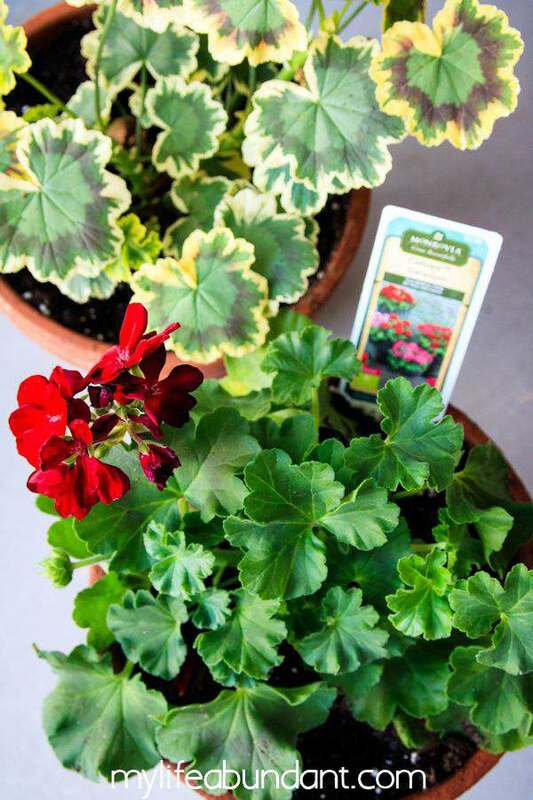 Different versions of geraniums perfect for beautiful color. By keeping the nectar flowing in your area, the insects will survive and help keep our food supply alive for years to come. 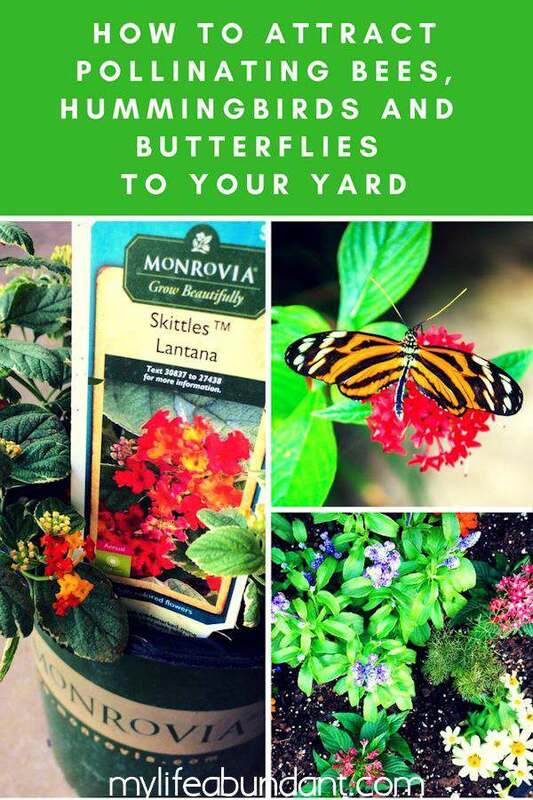 Learn more about Monrovia plants and where you can purchase your “Pop of Color” for your yard at your local garden center. You can also watch this video on how to Plant a Butterfly and Hummingbird Wildflower Garden. Sign up for their newsletter with updates of the latest plants available. It would be nice to see butterflies and hummingbirds in the garden! These are great tips and I’m definitely going to take not of them. Thank you. My parents have always said that having pollinating bees in your yard is a blessing. It allows you to help the ecosystem. HI Fatima, It really does help and when I’m out working near them, they never bother me. They are too busy doing their work. Thanks for stopping by. I love and needed this! I was wondering what beautiful flowers would attract humming birds and butterflies. It would be awesome to see them pop up in the yard during the spring and summer. I am hoping to have a flower garden this year. I am going to try your tips and get tons of wildlife to my garden. We have many of these things surrounding our home here in SC and we get plenty of hummingbird visitors. There’s nothing better than sitting on the porch drinking a cup of coffee and having one of these little visitors come exploring. HI Richard. We don’t get that many hummers in our area because we are the stopping point during their migration. There are a few that stay around all year. They just amaze me. These are such great tips! I’ve seen a few hummingbirds in my yard before and they are so beautiful! We are just starting to plan our garden this year, and this is really helpful. I would love to have more butterflies and hummingbirds in our yard, and I didn’t realize there was so much you could do to attract them. I will definitely have to start with planting some milkweed. Milkweed is a great choice for Monarchs. Thanks for stopping by. My mom is an avid gardener and I always help her out in spring. I will have to let her know about these tips! I can’t wait to start planting pretty flowers around the house again. My husband’s yearly task is to prepare the front and backyard and he’s really making headway. I am excited to see blooms again. Thanks for your suggestions. I hope to see more butterflies and hummingbirds in my yard soon. 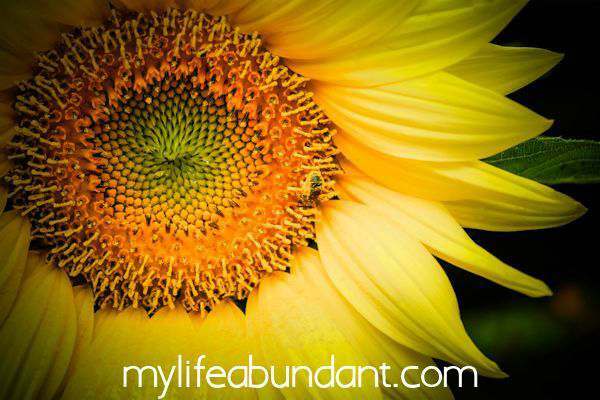 Honey bees are so important , I am worries about how the numbers are dwindling. So happy this article helps to promotes how to care for them, or attract them. I have a few humming birds as well…. great information. We are just getting ready to plant our garden. 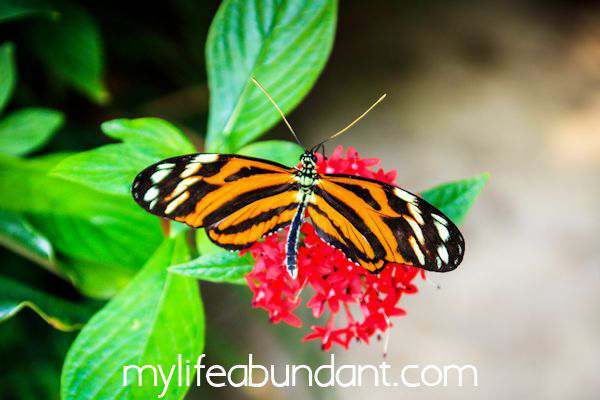 I love having butterflies and hummingbirds around, so I will look at the flowers that attract them. We already have a few geraniums and I love them! I wish I was better at gardening! I love seeing creatures in my backyard 🙂 These are great tips..
How beautiful is a home surrounded by life and color! Of course in an organic way it is so much better and oh boy imagine all the neighbours with the same idea! Those insects are friendly in the garden. They help in the reproduction and production of new species of flowers and plants. I love seeing butterflies in the garden, they are like little fairies. Thank you for sharing these tips. I have always wanted to get more wildlife to come to our yards to enjoy looking at. I really love gardening. Great tips! This is really helps. I like it! What are examples of plants that give the bees some shelter? I didn’t even think of this! What a good tips, I have small garden and I would love to apply this tips glad you share this with us.